Love Tees Just $15.99! Down From $30! Shipped! You are here: Home / Great Deals / Love Tees Just $15.99! Down From $30! Shipped! This deal expires on January 8! 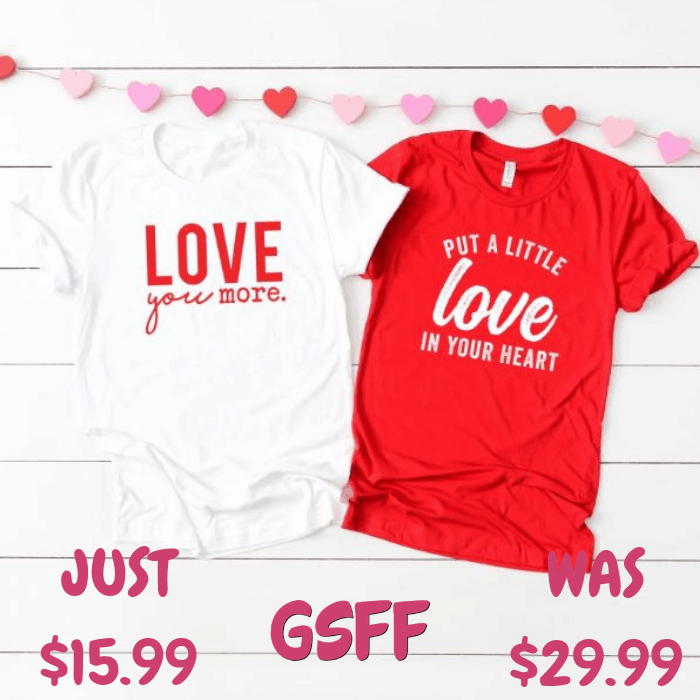 At Jane, you can get these Love Tees for just $15.99 down from $29.99 PLUS FREE shipping! Just keepin’ Valentine’s Day simple with these tees that say it all! Each tee is made to order and screen printed in-house so the shipping time is longer.